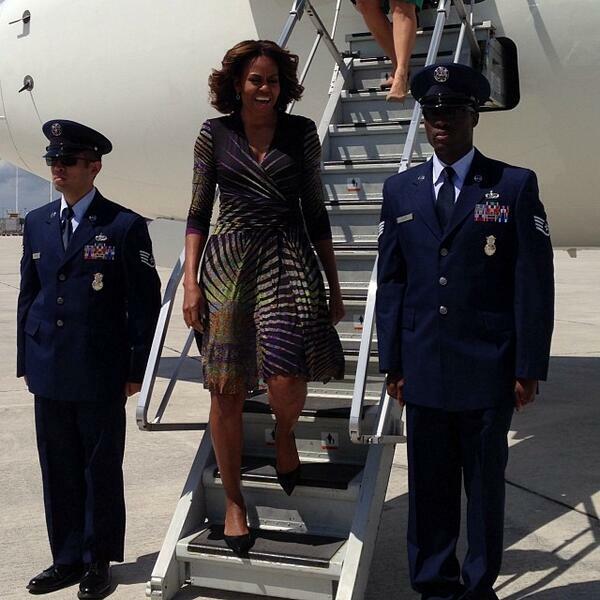 American royalty Michelle Obama is taking social media stateside with a digital photo album of her southern trip. Today, the Lady’s official Twitter account informed followers of her exciting Instagram updates to come in Miami. Watch her posts and enjoy your virtual trip to one of America’s paradises! All rights to the image and message belongs to Michelle Obama and the US Government. This entry was posted in News, Politics, Technology and tagged Michelle Obama. Bookmark the permalink.